The Former Democrats Leader is now in the box set for a Greens Senate seat. Andrew Bartlett was parliament's first goth, well former goth. CANBERRA -- The repercussions of Larissa Water's citizenship debacle -- and indeed that of fellow co-deputy leader Scott Ludlam -- still has to go through the High Court, but the most likely result is a serious blast from the political past. And it is from another, serious but now defunct political party. The number two on the Greens QLD senate ticket was the former leader of the Australian Democrats and Queensland senator, Andrew Bartlett. So the likely new senator has been a senator before, and will likely be one again. And it seems Greens Leader Richard Di Natale is already giving him that title. "I know Senator Bartlett will make a great contribution," he told reporters in Melbourne. "He has history and experience in the Senate." "He is somebody who has shown a great commitment to the Greens over many years and we welcome the contribution that Andrew Bartlett will make if indeed it does turn out as we expect and that on the basis of a count-back he becomes the next Senator for Queensland." So who is Andrew Bartlett? First up, he was born in Brisbane, so there will be no surprises here about dual citizenship. He's done this Senate casual vacancy thing before. Bartlett got his first Senate spot after the resignation of another former Democrats leader Cheryl Kernot in 1997. He's been heavily involved in the Queensland Greens for over eight years in a number of senior positions. 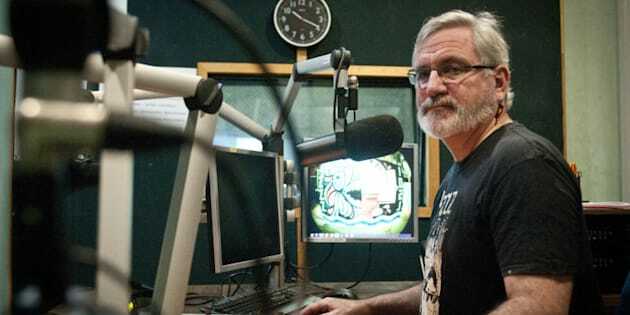 Bartlett's a breakfast announcer on 4ZZZ community radio in Brisbane. He's a former social worker and animal rights activist. He was parliament's first goth, well former goth. "Bartlett complains of newspapers reprinting a 2000 publicity shot of him in full Goth regalia, heavy on the mascara, eye shadow and lipstick and holding a freed chicken, but says he still receives strong public support for the message. "I'm sure it was not just because they liked the make-up I was wearing, they want to see the chickens out of the cage." Bartlett was the Democrats party leader from 2002 to 2004 leading up end of the party's representation in federal parliament. In 2004, he choked back tears in the Senate chamber over a proposed law to define marriage as between a man and a woman, "It offends me so much - it is so disgusting, this legislation." Bartlett was involved in an extraordinary wine fueled altercation on the Senate floor in 2003, during which a female Liberal Senator's arm was bruised. He was the only Democrat to join Natasha Stott-Despoja in opposing the party's deal with the Howard Government over the GST. Stott-Despoja has told HuffPost Australia that Bartlett is "a decent man, loyal to democrat principles and a passionate environmentalist." Even, LNP Senator Ian Macdonald is looking forward to seeing him back in the Senate. Bartlett, himself, is devastated by the resignation of Waters who he described as a "great servant for the state of Queensland". In a statement, he said he'd been heavily involved in the Queensland Greens for over eight years in a number of senior positions, as well as active in politics for three decades. "My immediate focus is on working with the many thousands of wonderful members and supporters of the Greens in Queensland to work through this situation so that we can continue to present an effective alternative to the establishment parties who fail our community and our environment so badly." "The party's membership will be having many conversations over the next few days as we process what has happened and determine what is the best way forward to ensure we remain a strong voice for the essential values the Greens promote." HuffPost Australia has reached out to Andrew Bartlett for comment, but he has declined to comment.